Cut the beans into 2″ (5 cm) slices. Shell the peas. Divide the cauliflower into florets. Leave the carrots whole if not too big. Cook individually in boiling salted water for 3 to 5 minutes until al-dente. Do not overcook. Drain the vegetables and reserve about 1 pint of the cooking liquid. 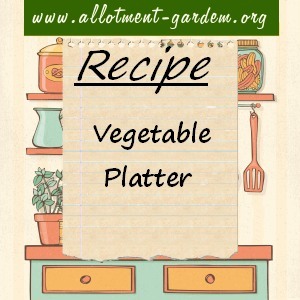 Arrange the vegetables on a large, deep platter. To make the sauce, melt the butter in a large, non-stick pan. Sauté the mushrooms for about 3 minutes. Stir in the flour and then gradually add the reserved vegetable liquid. Bring to the boil, stirring all the time and add salt and pepper to taste. Stir in the herbs, cream and lemon juice and re-heat gently. Spoon the sauce over the vegetables and sprinkle with parsley. Serve immediately with crusty bread to mob up the sauce.